A French Press Makes for a Perfect Cup of Coffee in the Morning! 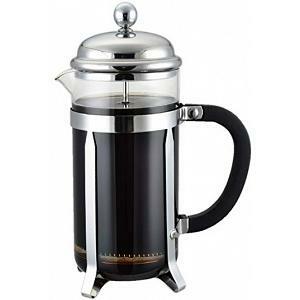 If you are looking for a great tasting cup of coffee, a French Press Coffee Maker is definitely the way to go! This eye-popping French press allows for the purest and richest form of coffee. No paper coffee filters are needed so you won't have to worry about diluted coffee! You prefer tea? No problem, the French press makes tea as well! 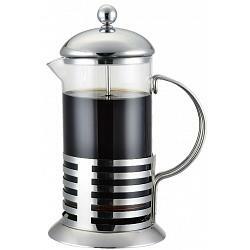 The sturdy French press coffee maker features a stainless steel construction with a heat resistant glass carafe. 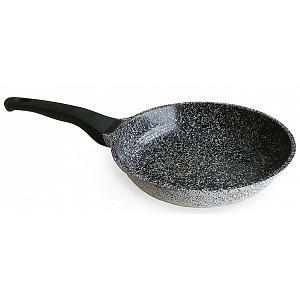 To use, simply add boiling water to the freshly ground coffee beans or tea leaves and let it steep for about 4 minutes. Now, press the plunger down and your coffee or tea is ready to be enjoyed. The Cuisinox French press coffee maker has a generous 1 liter / 34oz capacity. The glass carafe is dishwasher safe and a replacement mesh filter is included.